Walkers pick off random Norwegian Rebels. He does not use binoculars in this scene. Awesome shot of the Walker shooting down the snowspeeder. Imperial troops enter the base. Imperial troops enter the— <static>. 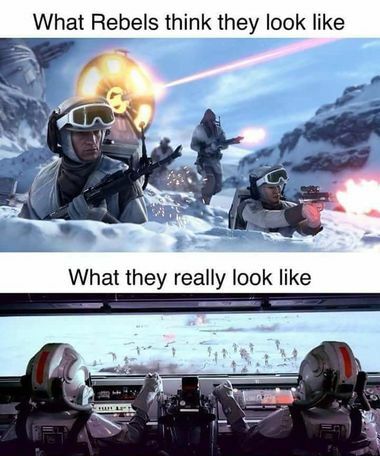 Listener project: make the AT-AT video game (and call 8-DAY-GREEDO once you've done it). Grand Maester Pycelle on "Game of Thrones". Donovan from Indiana Jones and the Last Crusade. 4 episodes each with the 1st and 4th Doctors on "Doctor Who". Walkers are more frightening on four legs than they would be on two. Veers narrates everything he does. Or is this still a live hologram call? Referenced: Dark Helmet from Spaceballs. Pete always quotes the Daft Punk guy saying "1-7 decimal 2-8"
Holdover from the AT-AT toy. Referenced: Raise your right hand. This minute is Veers' "Luke Skywalker" moment. He gets back to the base and everybody celebrates, and he accidentally shouts the name of his co-star instead of her character (See minute 116 of Star Wars). He gets a medal while one of the Daft Punk guys is snubbed. 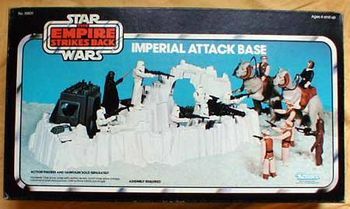 Toy talk: There are actually 4 Hoth playsets, including the "Imperial Attack Base". Referenced: The Mines of Moria from The Fellowship of the Ring, Nightcrawler from X-men. Are the Imperial troops on the same frequency as the Rebels? They could really have messed with them by a) telling them to leave immediately and strand Princess Leia, or b) telling them them to stay so they could capture the transport. This minute is the finale of the deleted Wampa storyline (in the Brackett Draft). 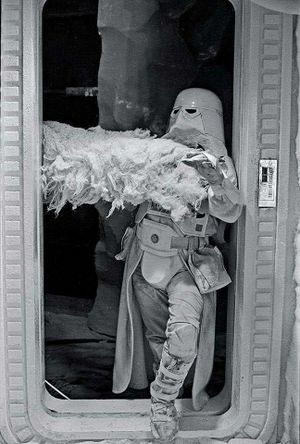 *Wampas were on the loose in the base and they were freezing people. *They were attracted to the sound of the radios. *The Rebels lured them into a room, closed the door and put a warning sticker on it. *As they evacuate, C-3PO peels the sticker. Pete: (with mild surprise) This is fun. Still. Pete: One "get out of choke free" card. Alex: (as Imperial Troops) Princess Leia says to go up into space and open all the hatches immediately. And throw out all your money. This page was last modified on 28 March 2019, at 19:41.